Set in the beauty of a Wisconsin State Forest, nestled among historic buildings, these camps will be adventure-filled, educational, and of course FUN! Spend the day traveling back in time with your grandchild! Share stories while you help with farm chores, tend our fragrant, floral, and food producing heirloom gardens, and try historic trades in our workshops! Kids! Grab a grown up and bring them back in time! Pairs of kids and their adults will travel across thesite from 1840s to 1910s as they help with wood stove cooking, meet heritage farm animals, and try their hand as an apprentice in a fun-filled day of play, questions, and stories. Step into the life of Wisconsin’s own Laura Ingalls for a day. Explore life in a one room cabin, travel to the general store, meet Morgan Horses and practice your penmanship in a real one room school. Be a part of the team for three full days of fun! Dress in historic clothes and help guests get hands-on with Wisconsin’s unique history! If your child likes digging into subjects, talking to people, and learning this is a great camp to gain social skills that will take them into the future! Interested in taking your apprenticeship to the next level? Check out our new Teen Volunteer Program for more details.  10% off for Wisconsin Historical Society Members!